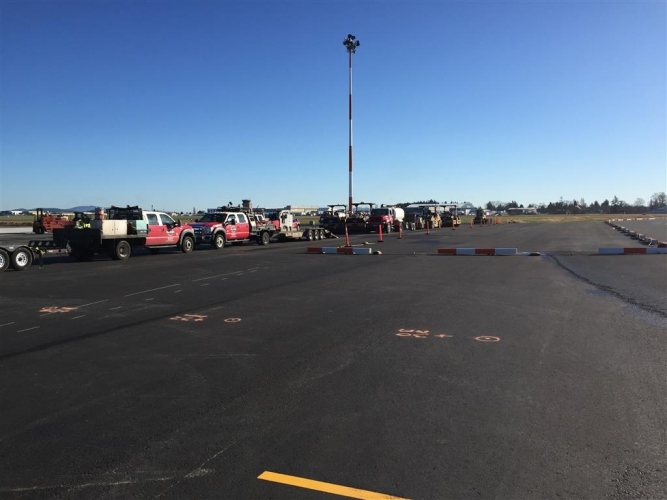 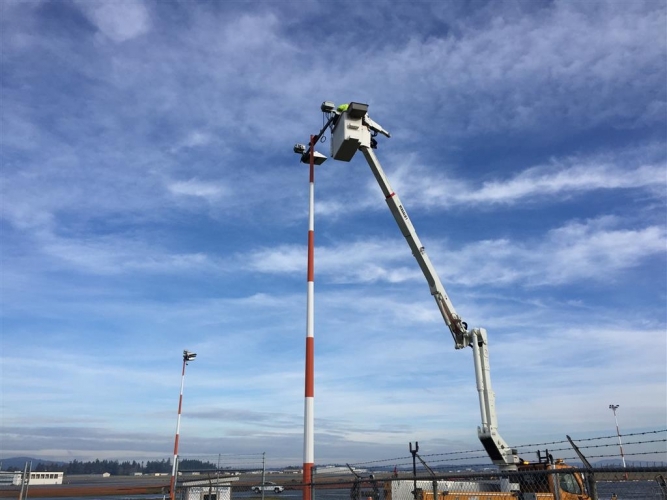 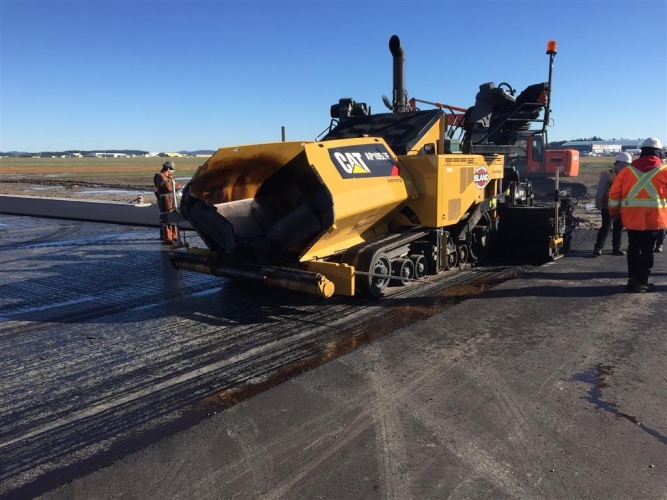 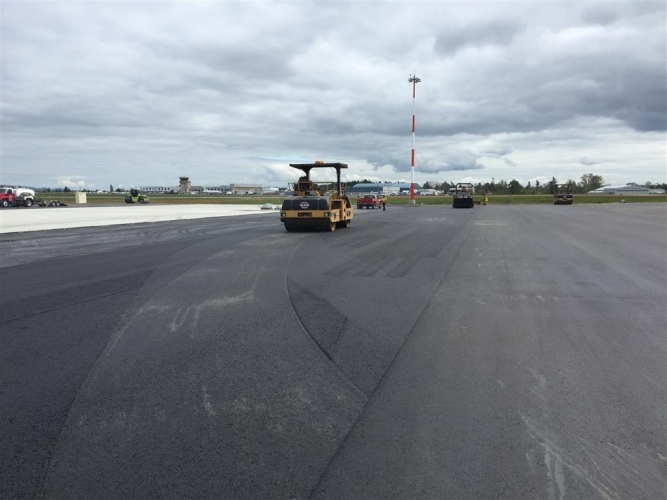 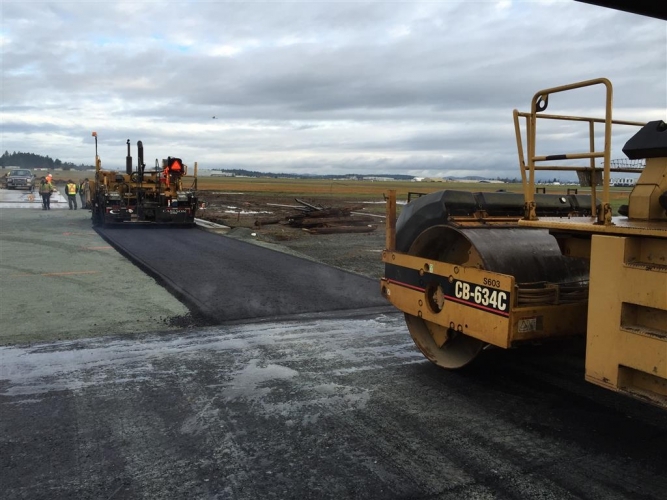 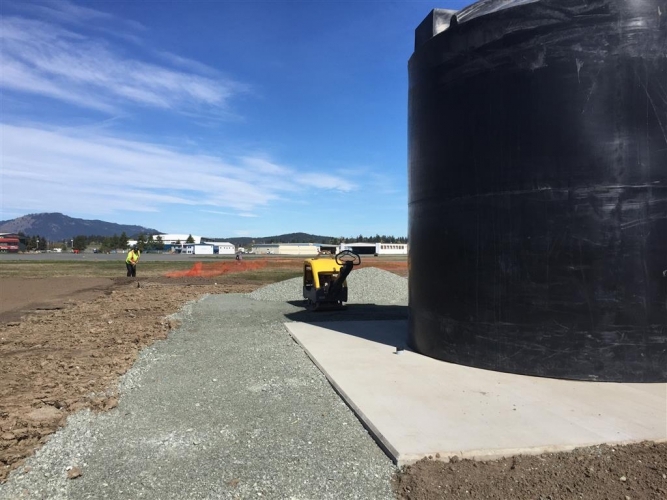 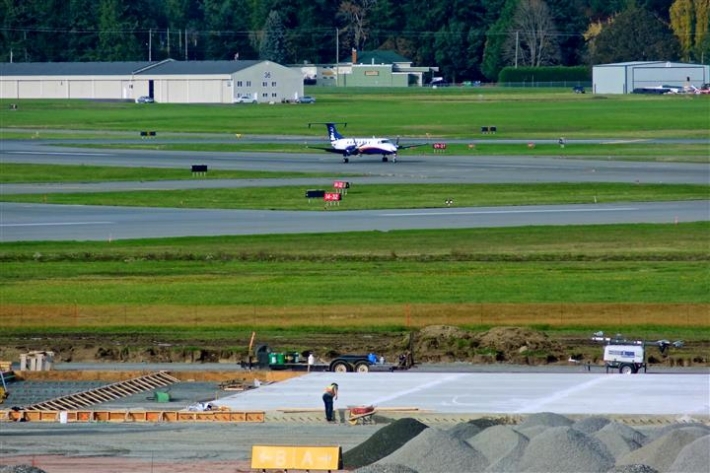 September 1 - Apron IV Expansion underway. 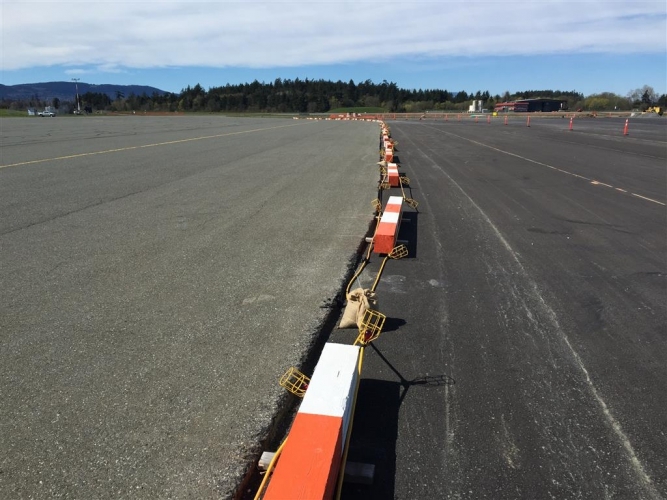 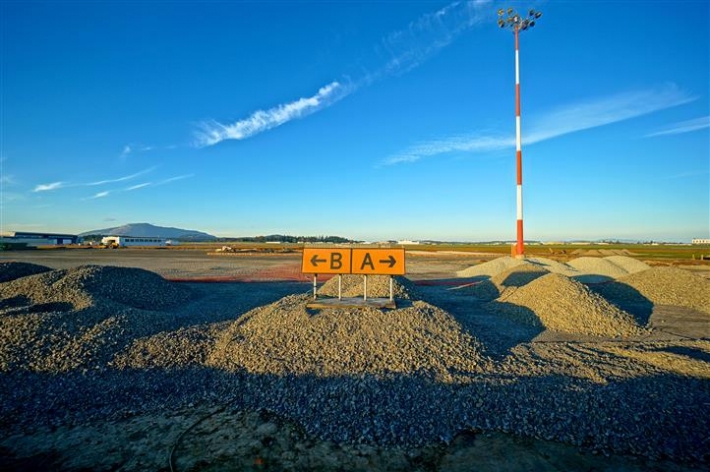 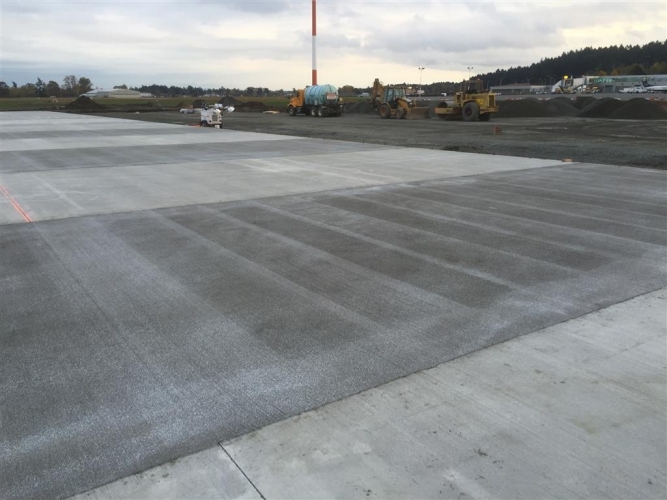 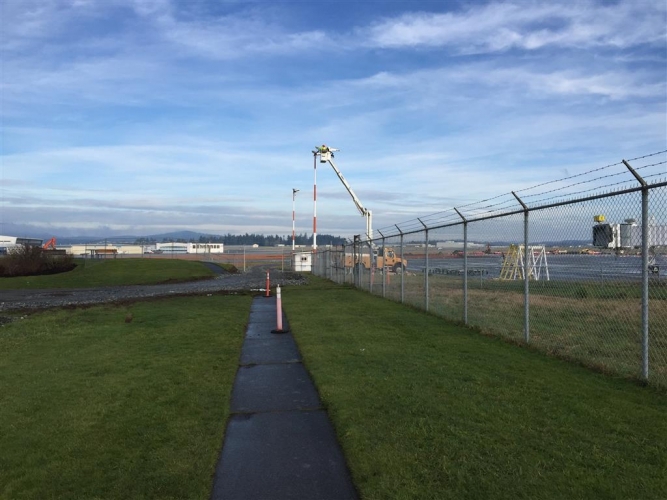 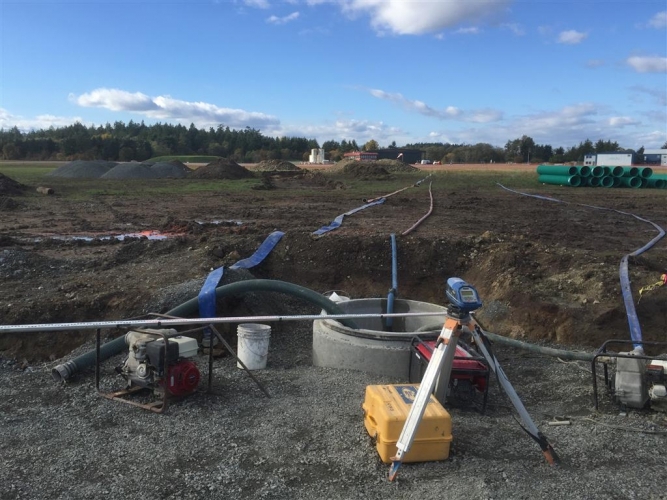 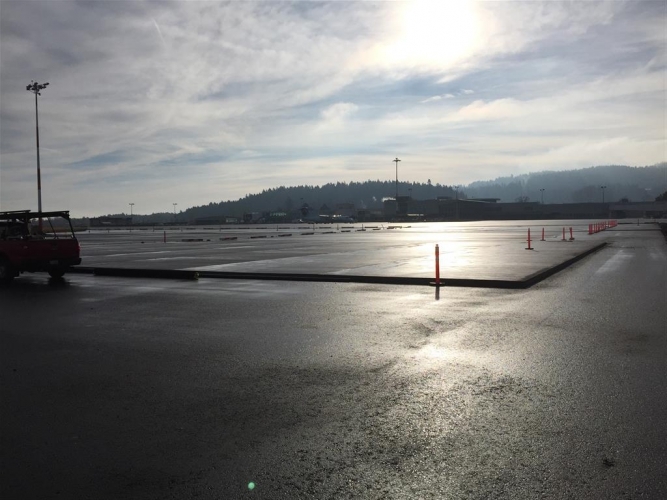 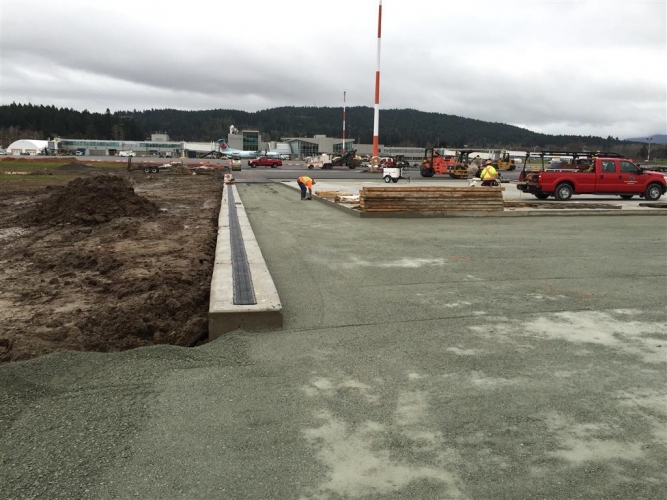 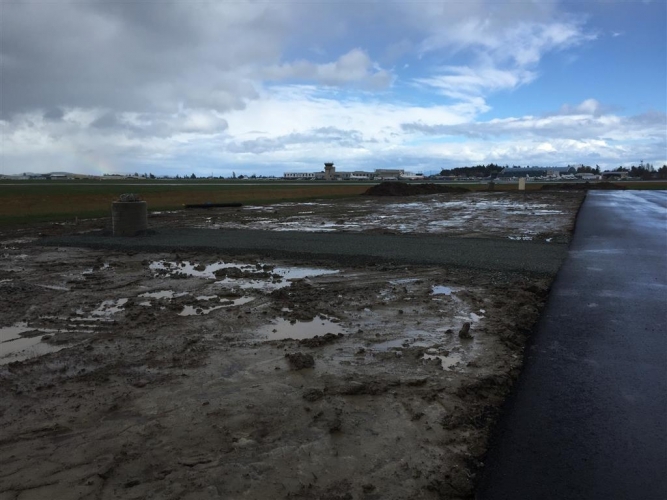 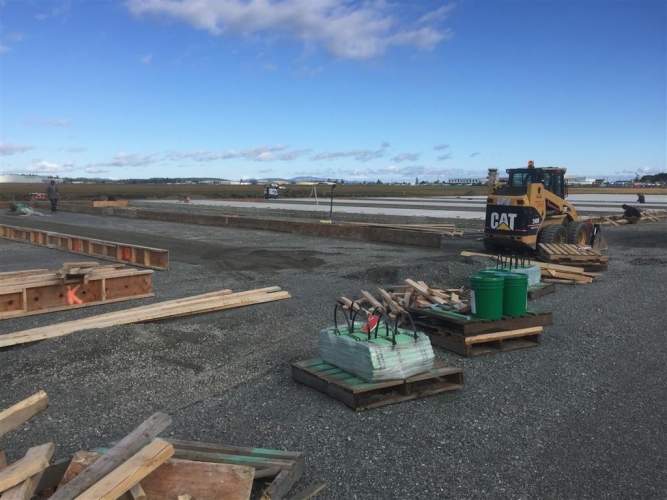 September 1- View of Apron IV Phase 1 Expansion from work site looking south towards air terminal building. 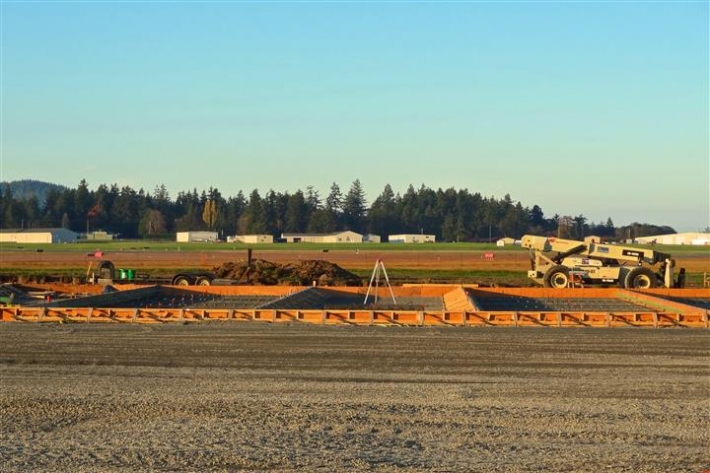 September 1 - Looking west from the end of the hauling road to work site. 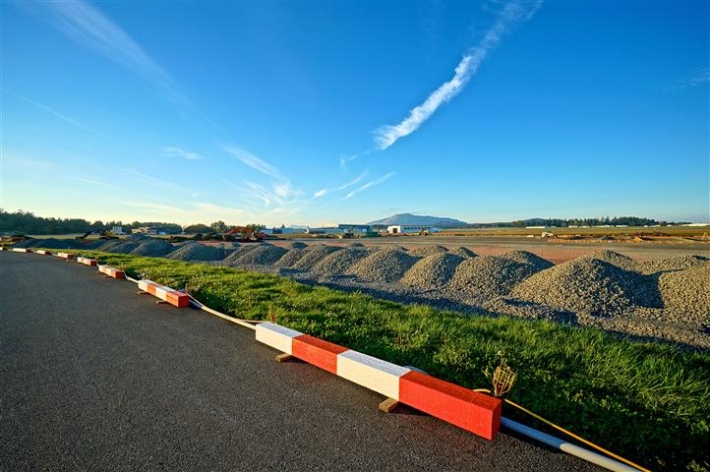 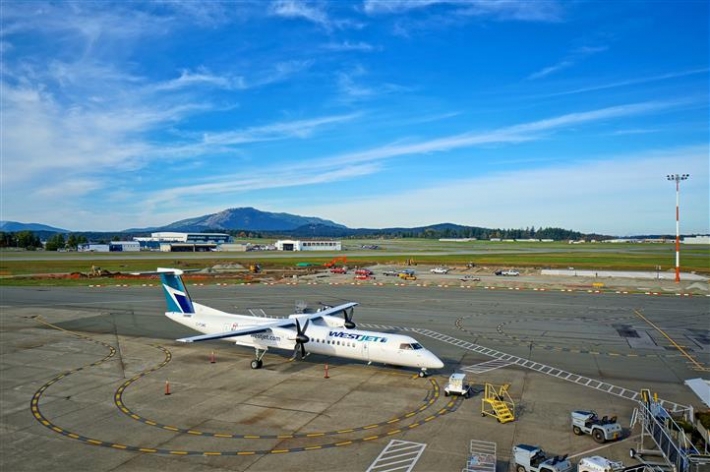 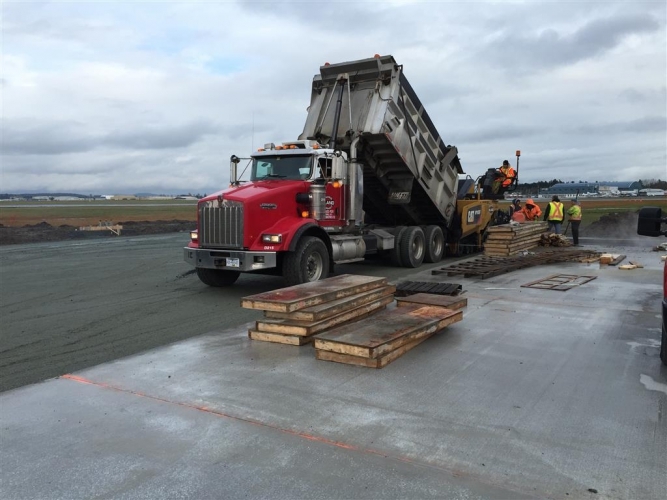 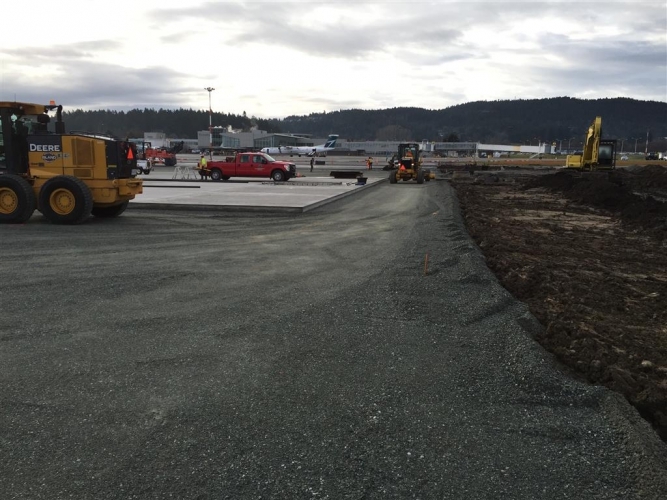 September 1 - WestJet taxiing past construction along Apron IV. 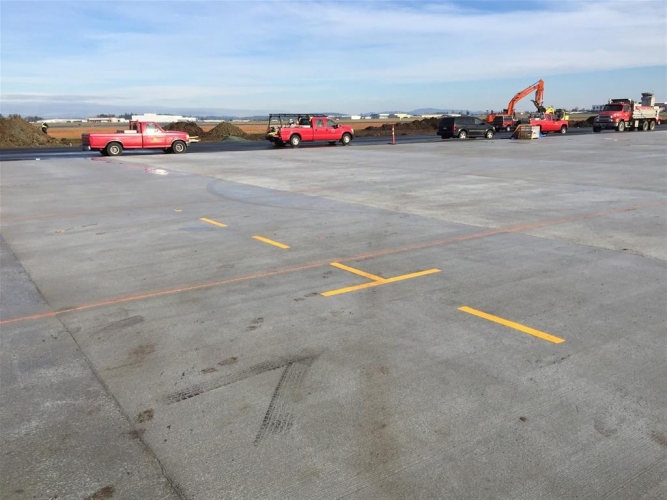 September 3 - Rooftop view of early days of construction on Apron IV Expansion. 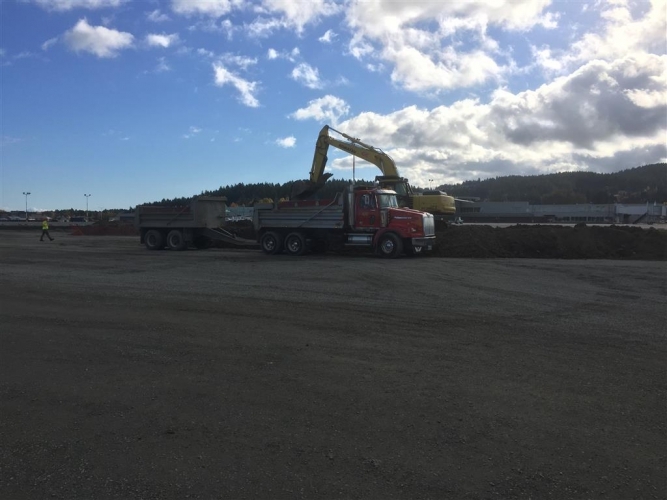 The recent rain creating a challenging situation for the gravel trucks. 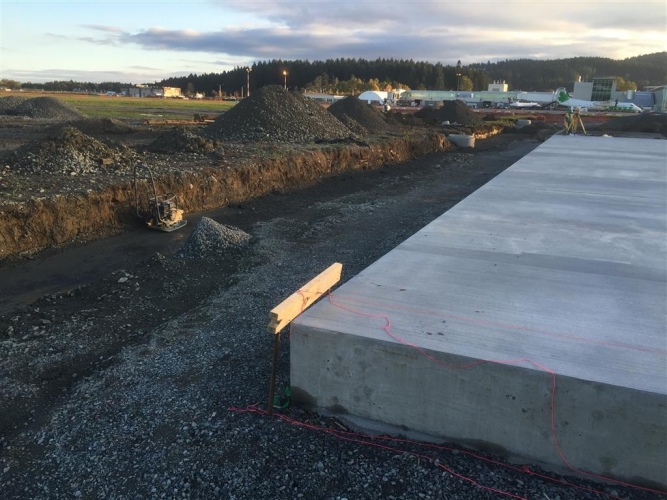 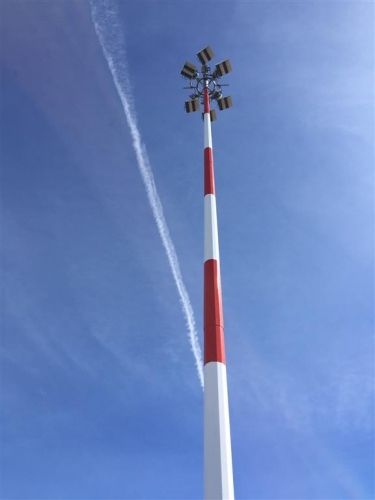 September 25 - Progress continues. 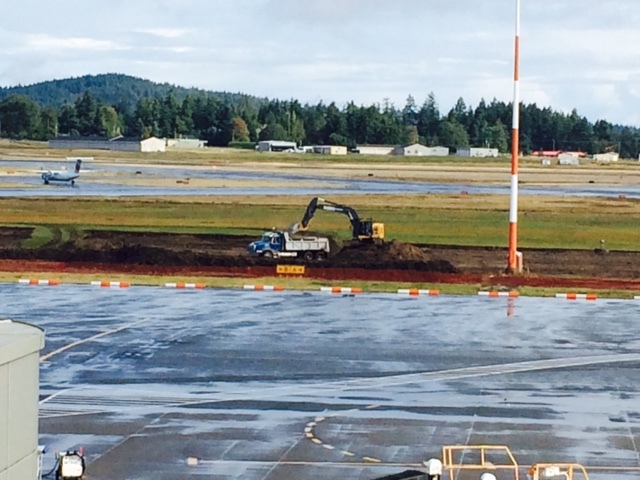 Excavation is nearing completion. 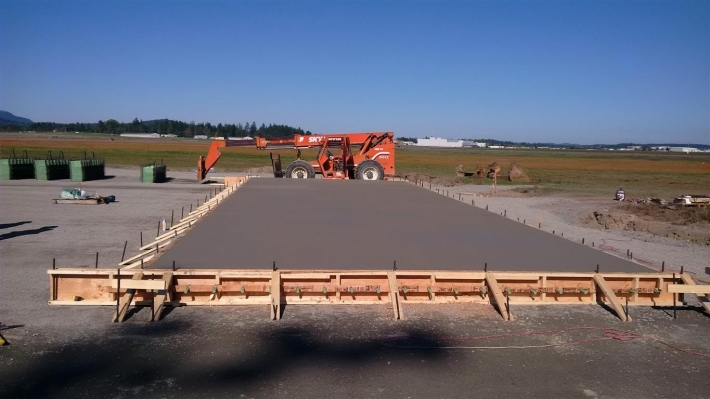 Next is preparation and framing for a concrete pour. 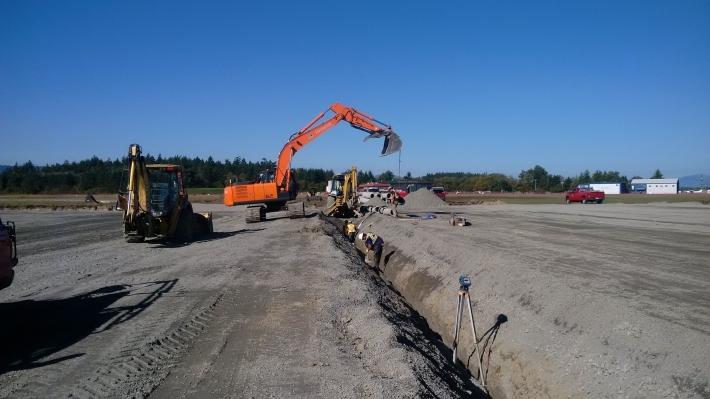 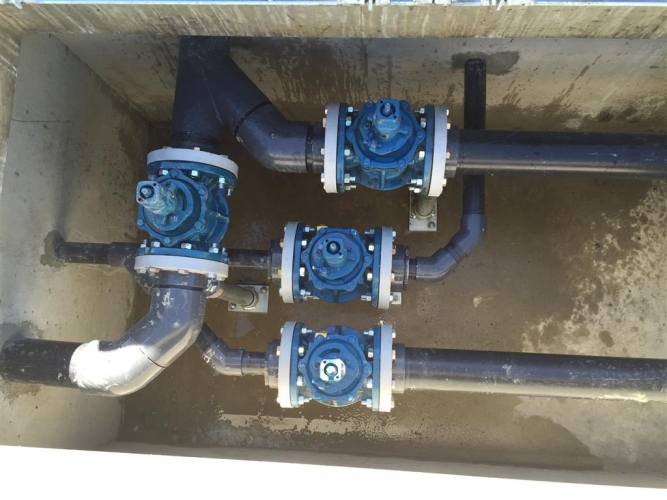 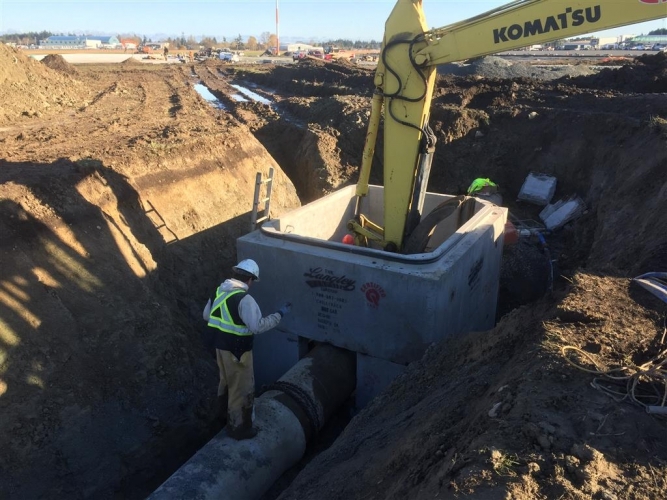 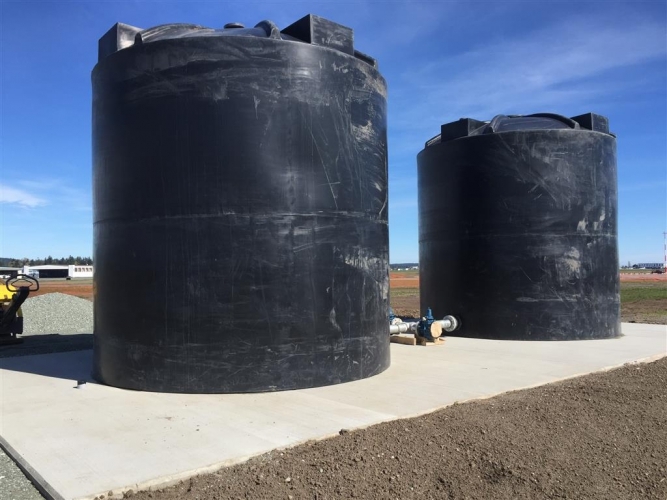 September 30 - Drainage work. 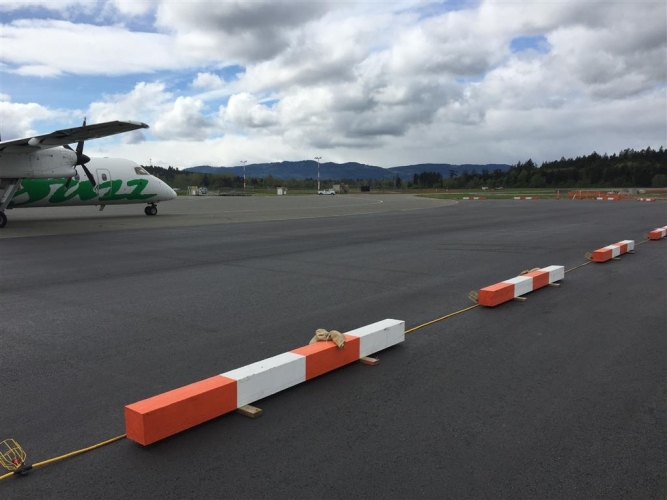 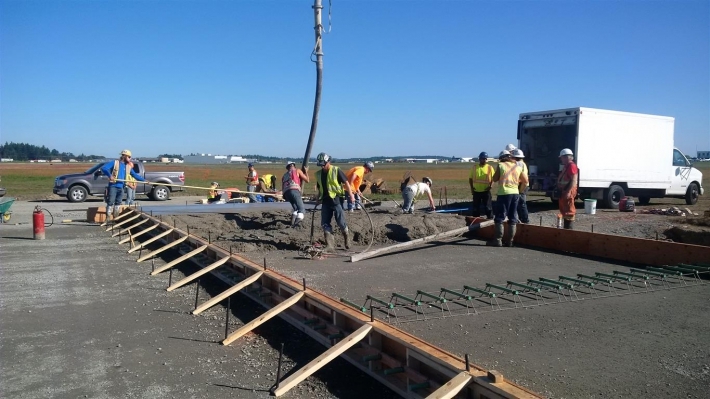 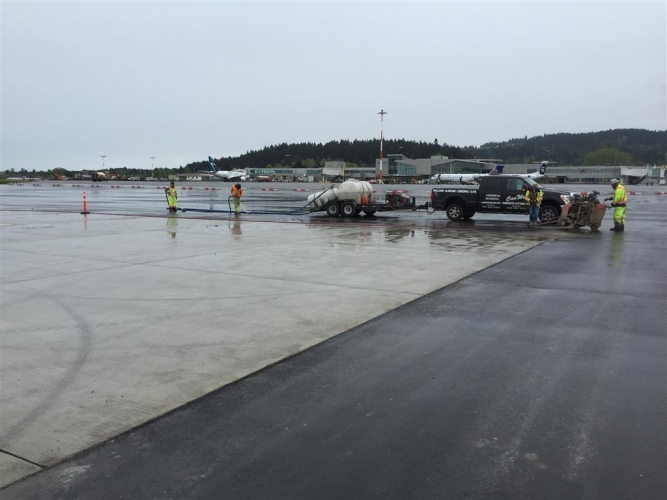 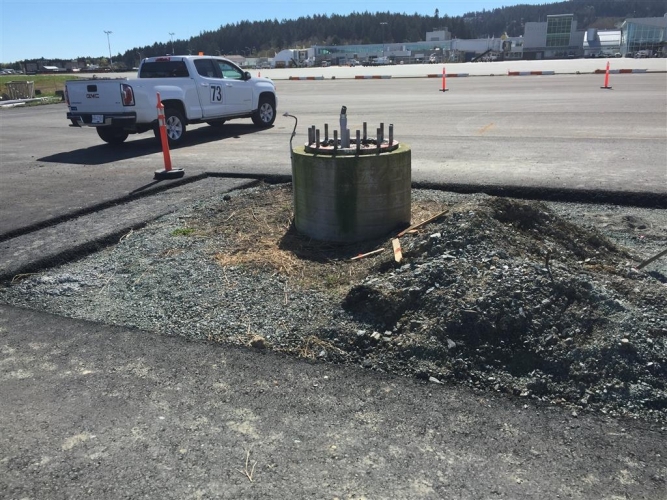 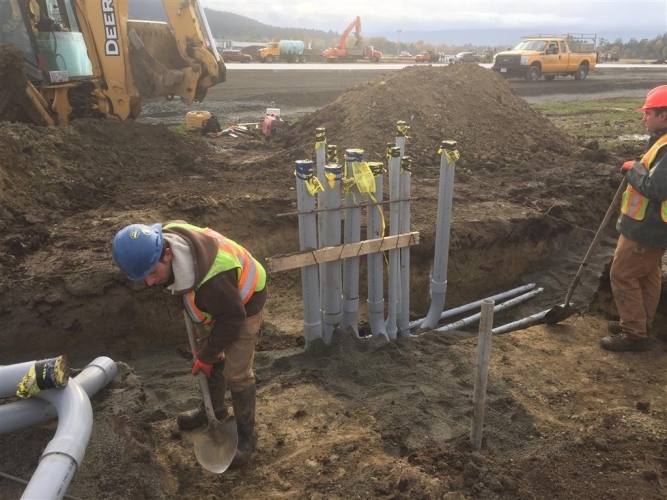 September 30 - Beginning of concrete pour for one of the aircraft parking stands. 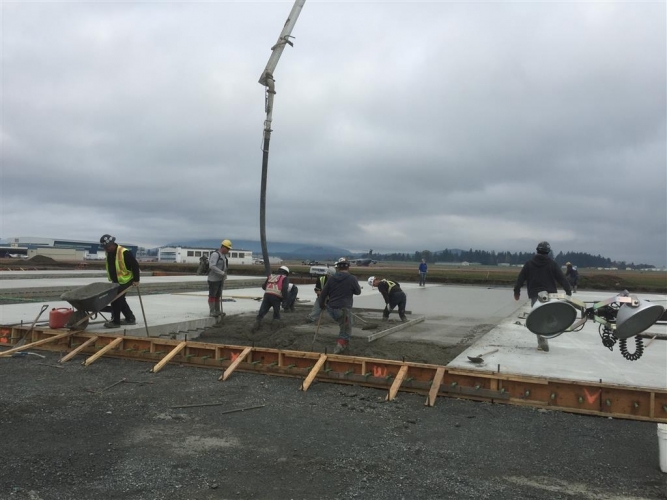 September 30 - Concrete pour. 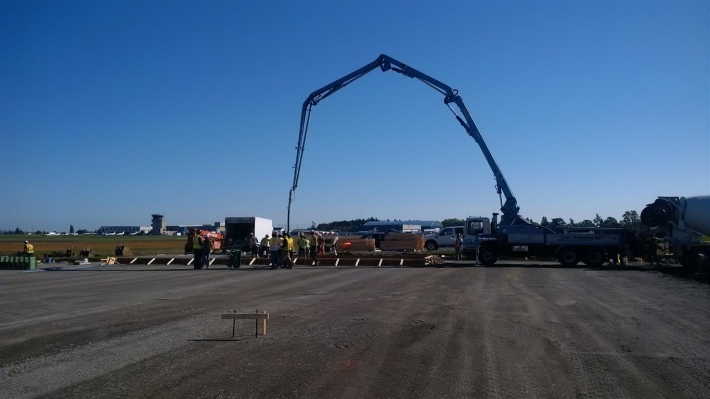 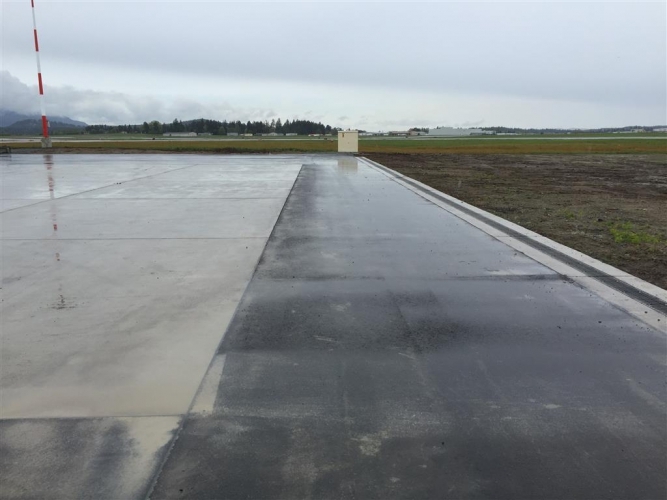 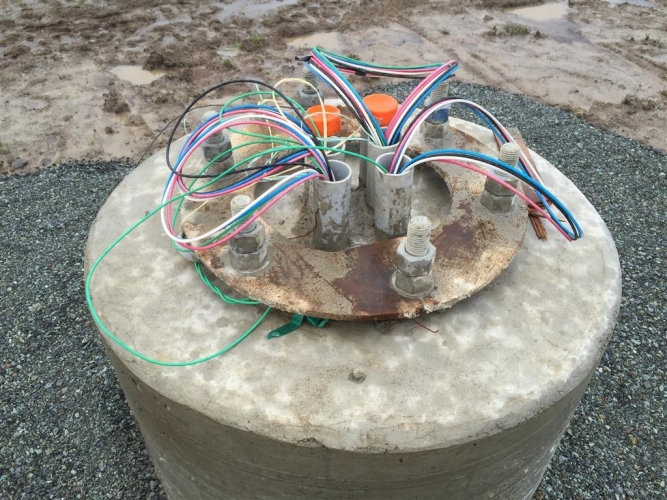 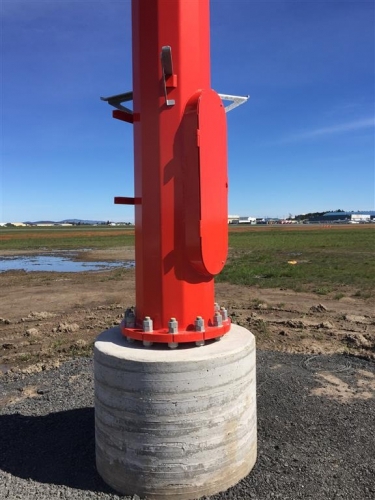 September - Completed concrete pour for one of the aircraft parking stands. 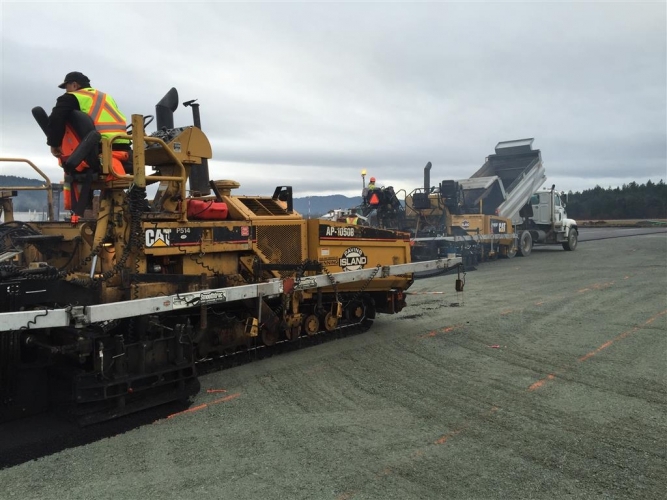 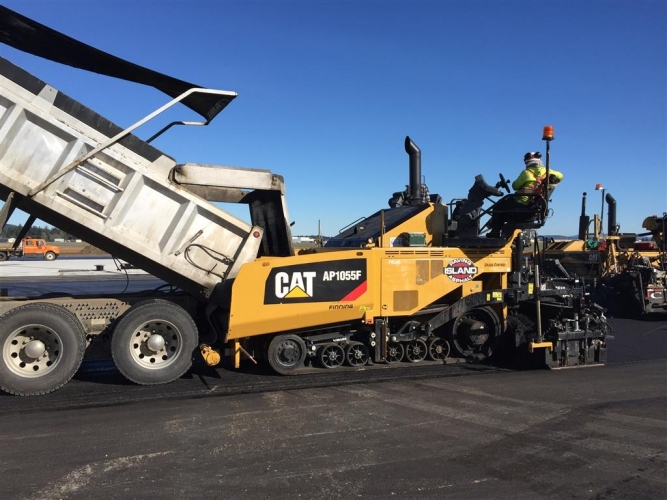 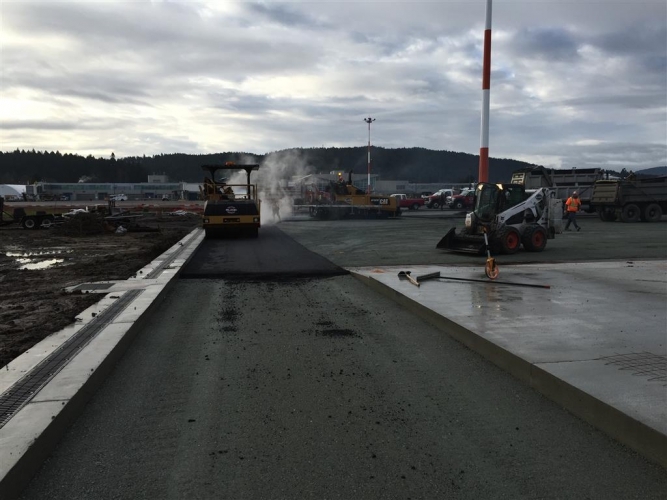 February Progress - Paving work continues with the improvement in the weather. 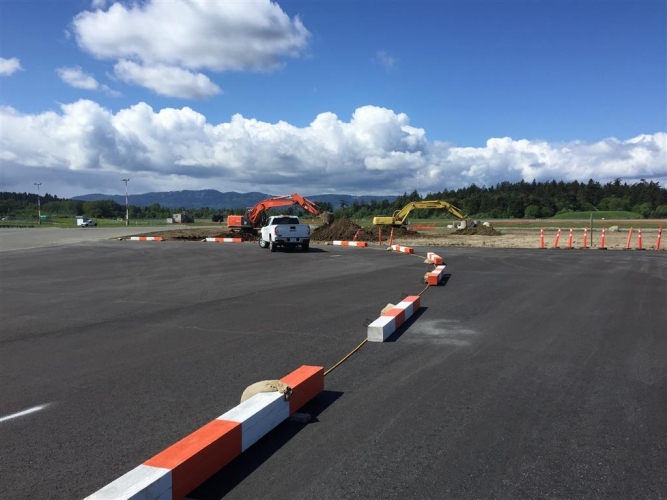 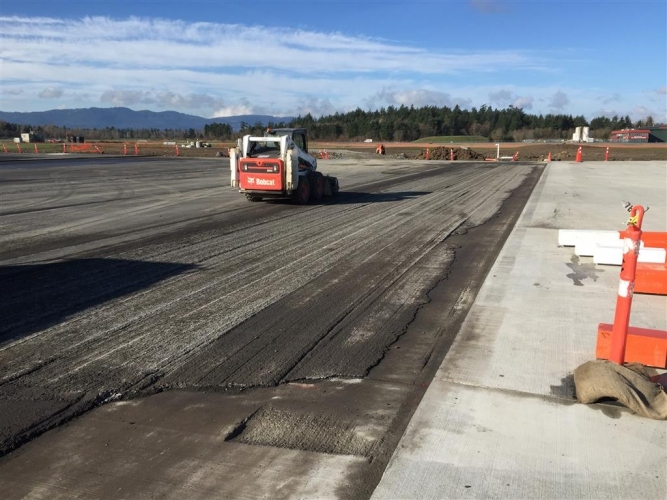 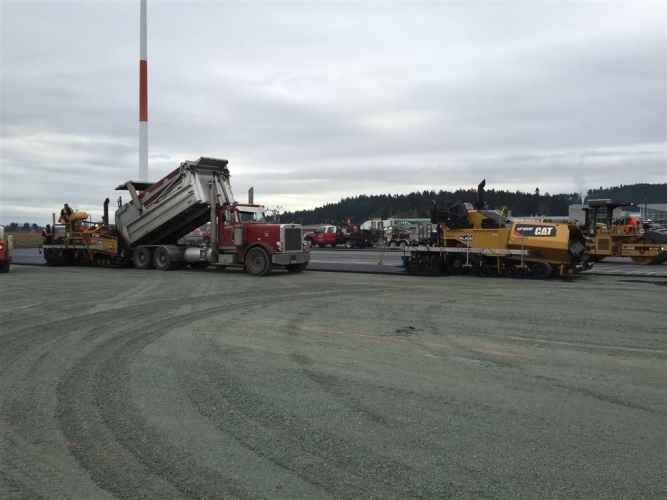 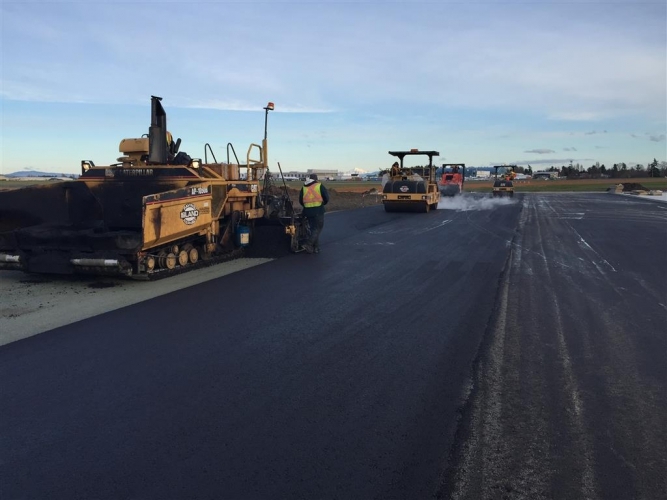 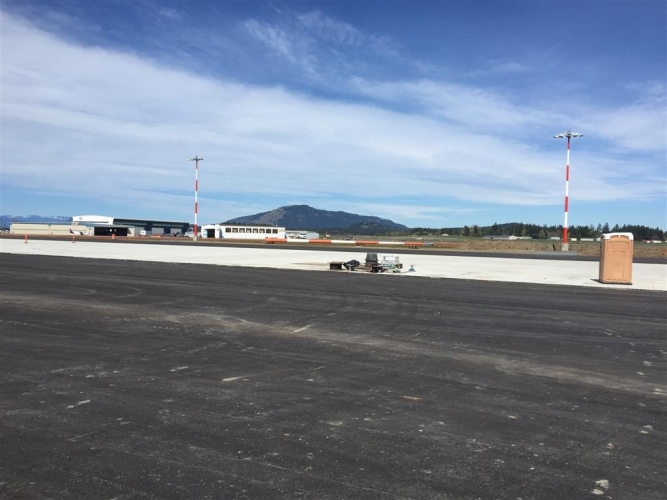 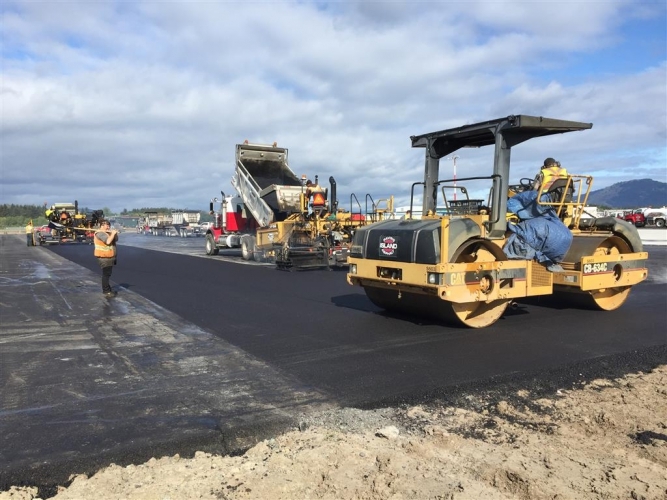 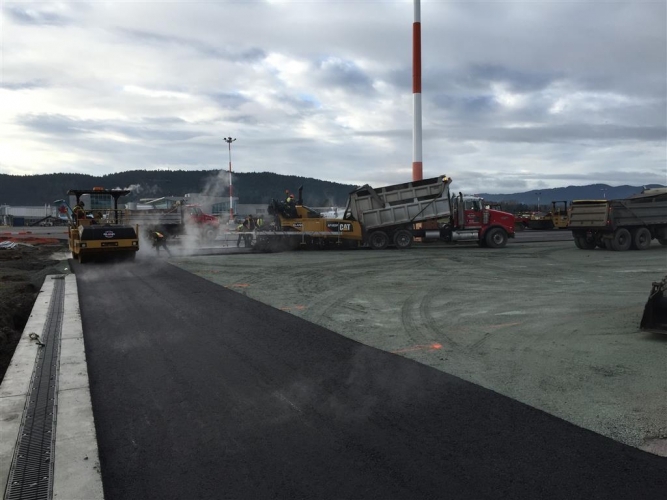 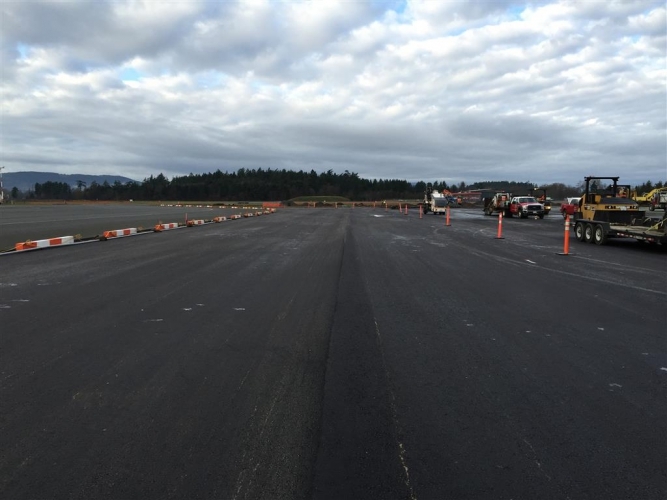 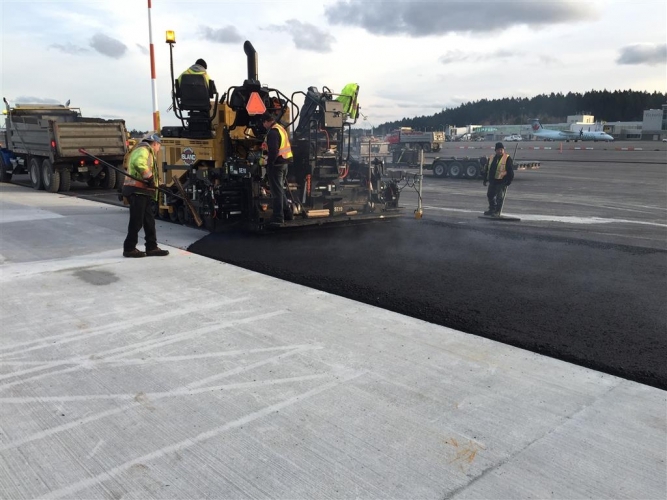 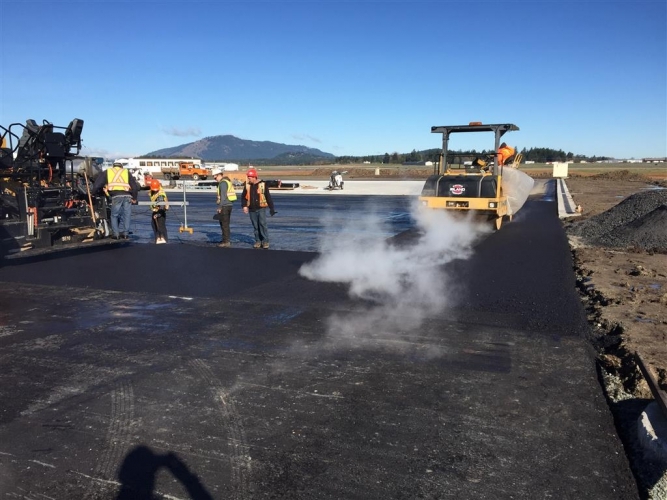 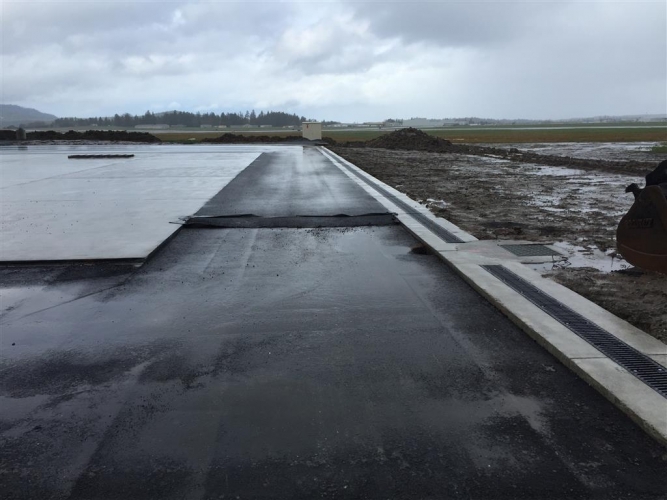 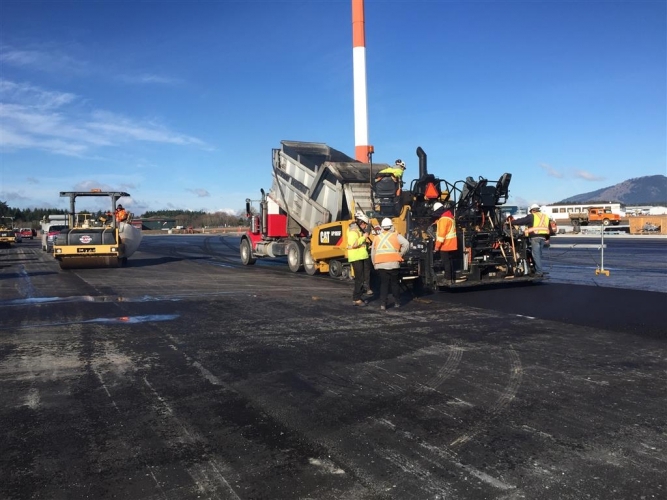 Additional lifts of asphalt are poured. 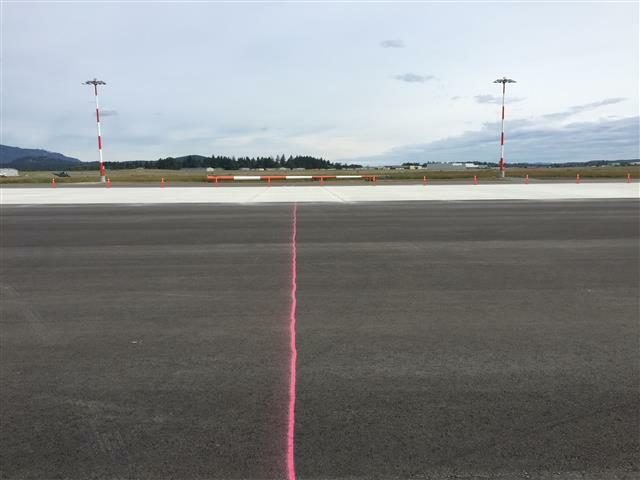 May - All but line painting complete. 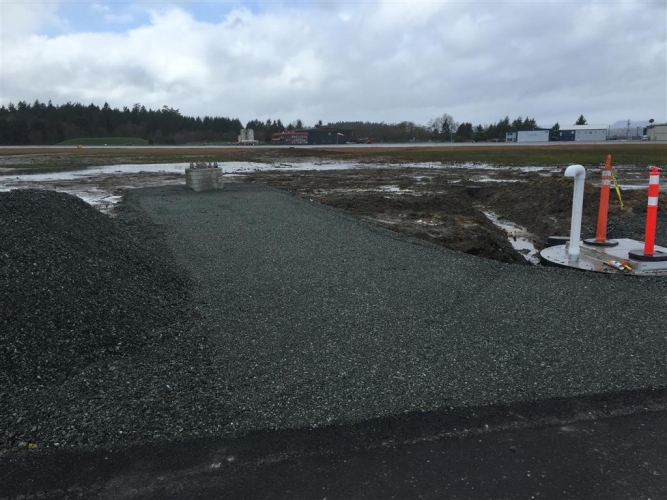 See Phase 2 for more photos.